AutoZone, Inc. is the nation’s leading retailer and a leading distributor of automotive replacement parts and accessories in the United States. We began operations in 1979 and at August 26, 2017, operated 5,465 AutoZone stores in the United States and Puerto Rico; 524 in Mexico; 14 in Brazil; and 26 Interamerican Motor Corporation (“IMC”) branches. Each AutoZone store carries an extensive product line for cars, sport utility vehicles, vans and light trucks, including new and remanufactured automotive hard parts, maintenance items, accessories and non-automotive products. 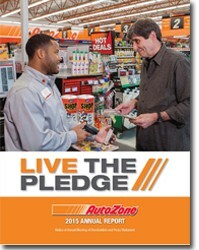 Many of our AutoZone stores also have a commercial sales program that provides commercial credit and prompt delivery of parts and other products to local, regional and national repair garages, dealers, service stations and public sector accounts. IMC branches carry an extensive line of original equipment quality import replacement parts. We also sell the ALLDATA brand automotive diagnostic and repair software through www.alldata.com and www.alldatadiy.com. 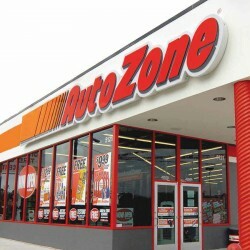 Additionally, we sell automotive hard parts, maintenance items, accessories and non-automotive products through www.autozone.com, www.autozonepro.com and accessories, performance and replacement parts through www.autoanything.com, and our commercial customers can make purchases through www.autozonepro.com and www.imcparts.net. We do not derive revenue from automotive repair or installation services. The Company was founded in 1979 and has been publicly held since 1991. AutoZone stock trades on the New York Stock Exchange under the ticker symbol “AZO” and is included in the Standard & Poor’s 500 index. 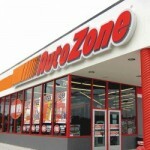 AutoZone is also recognized on the list of Fortune 500 companies.